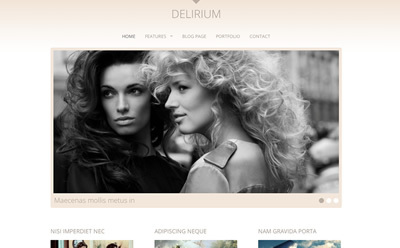 Delirium is an elegant WordPress theme with a clean design. The theme is 100% responsive so it fits well on all screen resolutions. It works great for fashion & wedding websites and portfolio websites in general. Delirium is tested through multiple devices, be it a desktop, notebook, tablet or mobile phone, Delirium comes with a fluid layout that adapts well across devices. 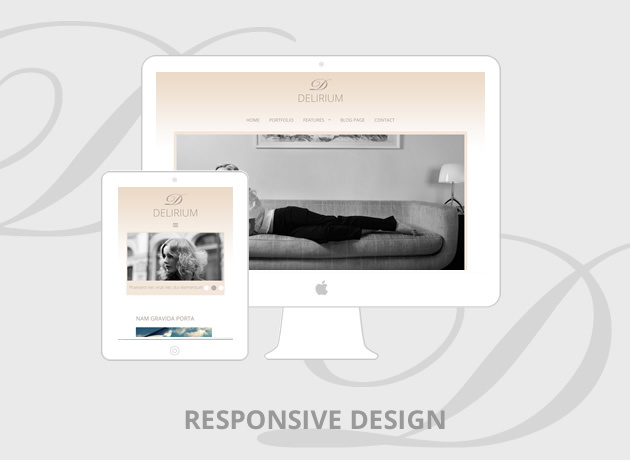 Delirium comes with an integrated and very flexible image slider in the home page. The ability to have five different layouts for the front page gives this theme a lot of flexibility. Below the slider you can display your blog, a default page with sidebar, a full width page, a page with featured pages and posts like in our demo, or you can have your portfolio. 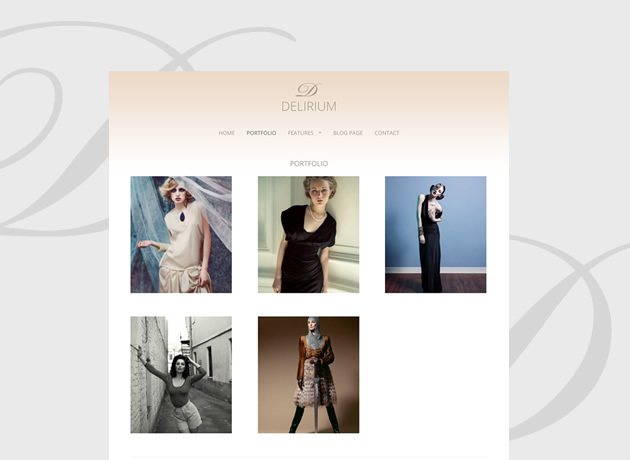 Give power to your website using the attractive portfolio of Delirium. You can have multiple portfolios and include each of them in a menu. Moreover Delirium has a Portfolio page template to display all your project types in one page if you wish. Delirium integrates also an image slideshow displayed inside each portfolio entry, activated easily by adding images to the portfolio entry. 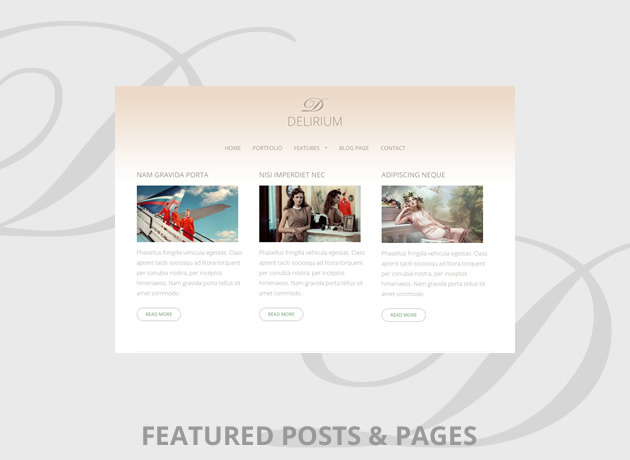 Delirium comes a page template that allows you to have a selection of your posts or pages displayed in a way different from your blog. You can use it to showcase your services or any other type of content. Delirium allows you to edit the colors of most elements of the theme directly from the customizer and to see the results live, making it easier to make the theme your own design. Add links to your Social media accounts easily with the integrated Social Media menu. Delirium comes loaded with 28 social media icons to have your visitors connect to you. Child theme is the recommended way to modify your theme. Delirium enables you to create and activate a child theme with just one click. Logo font included in the package.